Division benefits our plants in two ways. It not only ensures consistent optimum health for our plants but will also provide us with the opportunity to multiply our favourites. It is possible to divide plants at any time of the year so long as they are kept well-watered. It is vital you take care when dividing plants to ensure that the root systems are kept intact. Working from the crown, gently tease the plant with a standard garden fork, taking care not to damage the parent plant. Each plant will present us with individual levels of ease, and so it may be appropriate to use a sharp knife or another garden fork to help prise the clumps apart. 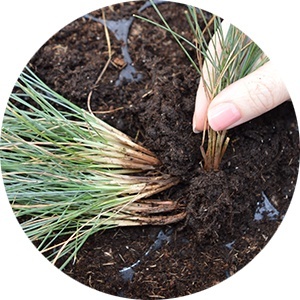 Once you have separated the clumps, you should plant divisions as soon as possible and water well to set them firmly in place. Alternatively, you may pot them on to ensure improved growth, health and development, taking care to overwinter in a suitable environment such as greenhouse or conservatory.